The Academy won't be presenting four categories live during this year's Oscars telecast and the awards being handed out during the commercial breaks have been revealed. Cinematography, film editing, live-action short and makeup and hairstyling are all going to be awarded during commercial breaks, with the acceptance speeches set to air later in the telecast. But it doesn't sound as though there are going to be any hard feelings. This news was revealed by The Academy Awards president John Bailey in an email that was sent to members. Apparently, 6 of the 17 branches of the Academy offered to have their respective awards presented during the commercial breaks. Four were then selected from that group. Bailey had this to say in the email. "With the help of our partners at ABC, we also will stream these four award presentations online for our global fans to enjoy, live, along with our audience. Fans will be able to watch on Oscar.com and on the Academy's social channels. The live stream is a first for our show, and will help further awareness and promotion of these award categories." So these categories aren't getting totally snubbed, at least. This all comes down to the length of the telecast and a decline in recent years in the ratings department. It's been clear that is a major point of emphasis heading into the 91st Oscars. But with all five Best Original Song nominees being performed at the show, and 20 more categories to present, something had to give. Bailey elaborated further in his email, explaining that the show must evolve to stay relevant in the modern media landscape. "Viewing patterns for the Academy Awards are changing quickly in our current multi-media world, and our show must also evolve to successfully continue promoting motion pictures to a worldwide audience. This has been our core mission since we were established 91 years ago, and it is the same today... So, buckle up! We are committed to presenting a show which we all will be proud of." One way in which the Academy was going to try and boost ratings was to introduce a category honoring "popular" movies. That was met with a very poor response and the idea was shelved. At least for now. Even without that new category, Black Panther earning a Best Picture nomination certainly isn't going to hurt matters. The Academy also recently announced a second round of presenters, which includes several Black Panther cast members. Javier Bardem, Angela Bassett, Chadwick Boseman, Emilia Clarke, Laura Dern, Samuel L. Jackson, Stephan James, Keegan-Michael Key, KiKi Layne, James McAvoy, Melissa McCarthy, Jason Momoa and Sarah Paulson will all present this year. They join the previously announced group of presenters, which includes Daniel Craig, Brie Larson and Awkwafina. All of that star power will help, since the show will be without a host for the first time in three decades. 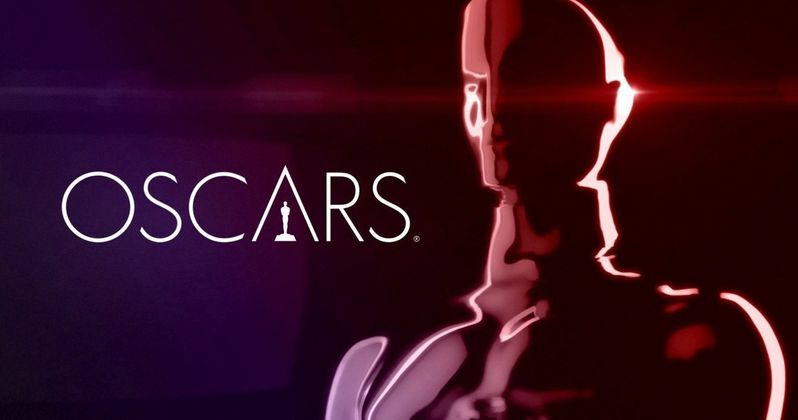 The 91st annual Oscars telecast is set for Sunday, February 24. This news was previously reported by The Hollywood Reporter.